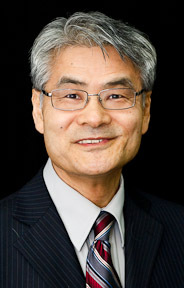 Yama is the former president of the Japan-Canada Chamber of Commerce. 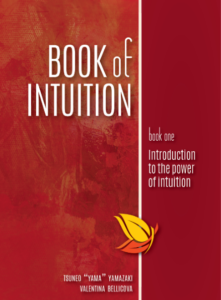 He gives intuition-related lectures to educate and to create public awareness about the subject. He holds intuition-building seminars in order to maximize productivity for business organizations & individuals. Born and educated in Japan, Yama moved to Canada in 1975. He holds a Master’s degree (Space Science) from York University in Toronto. He worked as a scientist/engineer in Tokyo, Toronto, Montreal, Phoenix and Albuquerque in the field of semiconductor and space science. He lives with his wife in Guelph, Canada. Since childhood, Yama showed keen interests in the “invisible world,” yet, by necessity he chose the science/engineer field in order to support himself and his family. He used to dream about traveling all over the world, including space travel by rocket. He dreamed of being in Canada more than once a week for 6 weeks. That experience made him decide to apply for immigration status at the Canadian embassy in Tokyo. After he received his permit status, he quit working in Japan and immigrated to Toronto together with his family, his wife and baby daughter. He was 30 years old. While in Toronto, Yama entered the Master’s program at York University and studied Space Science(CRESS). Upon graduation, he moved from Toronto to Montreal to work for a semiconductor devices manufacturing company. He used to read many spiritual books while in Toronto, but his life in Montreal offered him even more of a chance to learn about the spiritual world. If his diversified life has been connected by intuition, then the same intuition can be applied to everybody throughout the world. One’s intuition is source of wisdom, a source of intelligence, the key to problem solving, and forms the essence of idea generation. 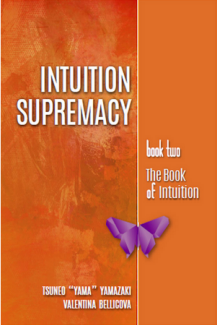 He knows that the intuition is the important element to any discovery in this world. Most of all, the intuition is a big reason for us to experience happiness and satisfaction in life. Yama recognized the importance of educating about the power of intuition in this world so he decided to create a training institute in Canada. His uniqueness is expressed as “wide-interest”: experience in the scientific and engineering field, interest in philosophy and religion, with a keen interest in the business world. People can maximize their true potentials both at work and at the individual level when their intuition is applied in conjunction with logic. Companies benefit enormously from his seminars.